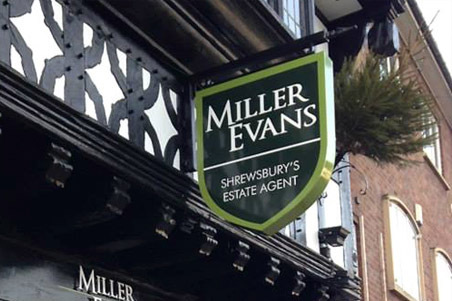 Visual Graphic and Display Solutions from Sign and Poster based in Shrewsbury. The right signage can have a massive positive impact on the perception of your business, make your business stand of to potential customers. We can help turn your company vehicles into mobile marketing designs with our fantastic bespoke vehicle graphics. 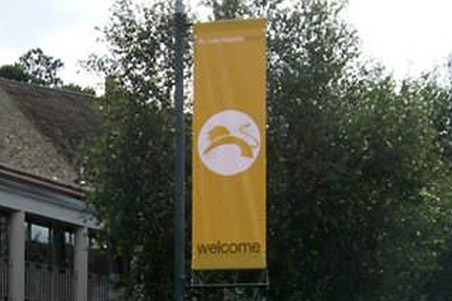 Using high quality PVC/Nylon and nylon meshes, our extensive range of banners and flags are made to suit any budget. If you require stationary materials or print advertising, our team are here to help create bespoke, professional designs. We are one of the region's leading specialists in vehicle wrapping. 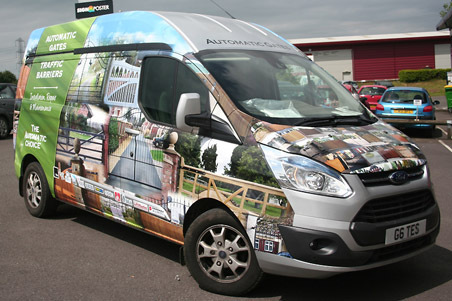 With thirty seven years experience and utilising state-of-the-art, solvent printing techniques, we can produce a tough, complete vehicle wrap to withstand all the elements. 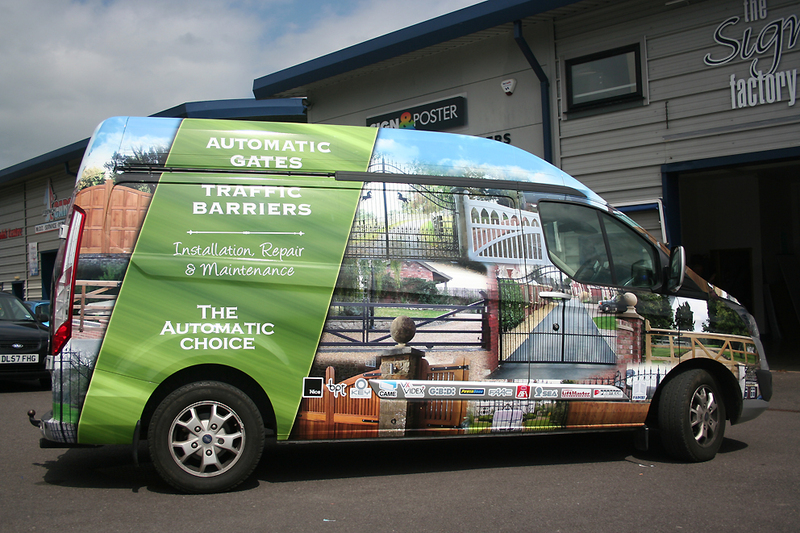 Your vehicle can be completely covered with a stunning design to give your business a boost. Our policy is to process and reply quickly to all enquiries. No matter how large or small, we supply creative and helpful guidance backed up with a written quotation. We also supply free scale drawings for all orders before production. Buying signs for your business is an important investment. A company sign can have a massive impact on the perception of your business by existing customers and potential customer alike. If your sign design carries the right information and delivers it in an easy to understand format, you are more likely to be remembered. Using high quality PVC/Nylon and nylon meshes, our extensive range of banners and flags are made to suit any budget - any colour - any size. 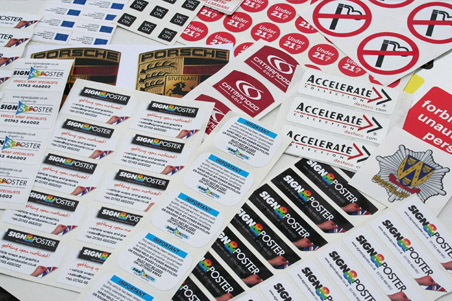 They are the ideal promotional tool for buildings, scaffolding, sports events, shows and functions.